The long-awaited Aberdeen bypass will now be completed in 2017 ahead of schedule, the Press and Journal understands. Scottish Government officials are believed to have brought forward the completion date for the £750million Western Peripheral Route after a successful start to the project. 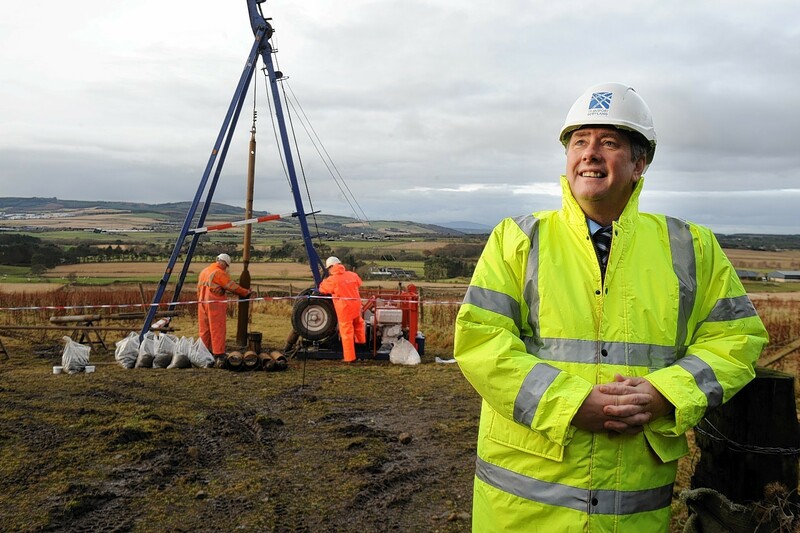 Transport Minister Keith Brown kicked-off work in August with the demolition of several city homes. A number of buildings off the North Deeside Road in Milltimber were the first to go and 15 more have since come down during the first phase of construction. Connect Roads – a consortium made up of Balfour Beatty, Galliford Try (Morrison Construction) and Carillion – has been selected as the preferred bidder to deliver the 28-mile route. The original completion date was spring 2018, but sources close to the project say that the road will now be finished in the second half of 2017. A 28-day purdah period prior to the referendum, restricting government business which could affect the outcome, prevents the Scottish Government from announcing the development. Nobody from Transport Scotland was available for comment. However, last night the Federation of Small Businesses – which has 3,000 members in Aberdeen and Aberdeenshire – said the news will provide a huge lift to the north-east economy. The federation’s Scottish policy convener, Andy Willox, said: “There is a stigma around the transport system in Aberdeen – it puts businesses and tourists off. “So this road is going to bring a huge lift to north-east economy. It is going to be a fantastic news story. The road will leave the A90 Dundee – Aberdeen road at Charleston, loop west of Kingswells and rejoin the A90 at Blackdog. Ministers backed the project in 2009 after a public inquiry but work stalled after campaigners, including RoadSense, filed legal challenges. Lord Tyre rejected the appeals in August 2011 but RoadSense chairman William Walton went on to appeal against that decision. The challenge was rejected again in April 2012 by three judges, who were scathing in their criticism of the lecturer, revealing his legal move had been destined to fail because of a technicality. This sent the case to the Supreme Court in London. A nine-mile “fastlink” from Milltimber to the A90 at Stonehaven – added by transport minister of the day, Tavish Scott – was at the centre of the case. However, Supreme Court judges also rejected the challenge. The SNP says the AWPR could generate more than £6billion and about 14,000 jobs for the north-east economy.